Story: Collected together with Vincent, from the Two Oceans Aquarium, while on seal patrol. 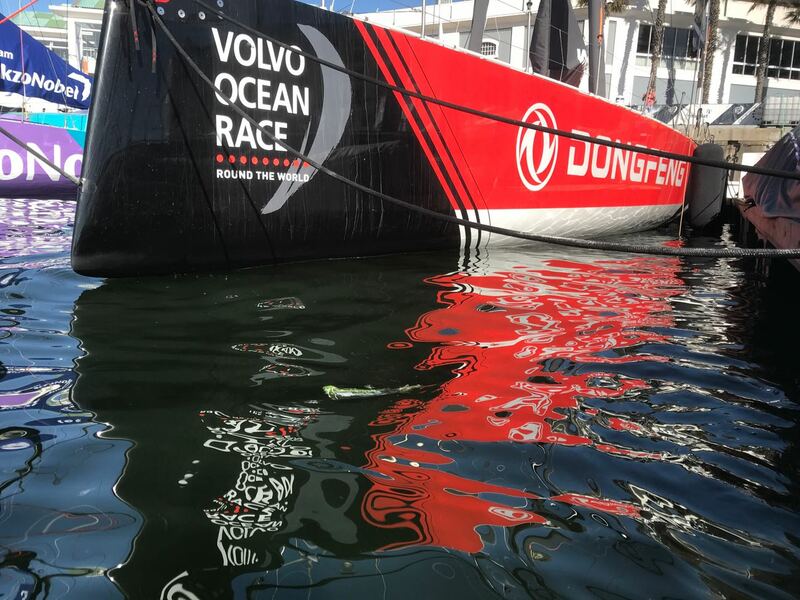 On this morning the Volvo Ocean Race yachs were in the bay – here is a plastic bag drifting in front of Dongfeng. This was also the morning we tried to get our first drone footage – trickier than anticipated. Drone shoot was called-off early because the gulls and terns spotted the drone and were intent on dive bombing the ‘intruder’ out of their air-space!